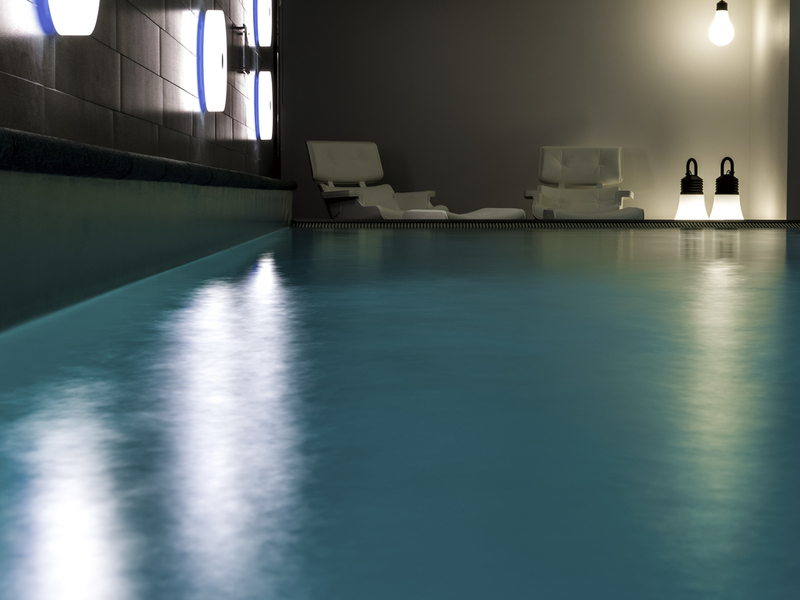 Looking for a luxury style hotel in the heart of Eindhoven? The whole city is easily accessible on foot with a shopping center across the street. Enjoy French cuisine in our restaurant Vestdijk47 and relax in our spacious rooms with free WIFI. Our team will welcome you with a smile. It is our primary concern for you to have a good time at our hotel. This beautiful hotel is located in the charming heart of Eindhoven, right opposite the luxury De Heuvel shopping centre. The Pullman Eindhoven Cocagne offers spacious rooms for our guests. You can also make use of our 18 multifunctional meeting rooms to accommodate all your meetings and conferences in Eindhoven. You will quickly feel at home at Pullman. Thanks to its central location, our hotel is the ideal base from which you can explore Eindhoven, also known as the City of Light. Immerse yourself in the world of the light bulb and visit the Philips Museum. Or walk across the former Philips grounds, where the old factories and offices now accommodate the trendy cultural Strijp-S district. Get to know the city's history in the Eindhoven Museum. Enjoy the quiet nature and saunter through Stadswandel Park. The traffic situation is changed in the city centre of Eindhoven. Due to Carnival, our Fit and Spa Lounge will be closed from 28 February to 8 March 2019, 17h. Our elegant and stylish guest rooms and suits offer the best of the Pullman experience, with free high-speed WiFi, Chromecast TV, Coffee & Tea making facilities, memory foam pillows, C.O. Bigelow bathroom products and more. Restaurant Vestdijk47 and Bar47 have an open kitchen, a chef table, a spacious wine bar with exquisite wines & a Tresor Digestif. We are open daily for breakfast, lunch and dinner. Previous trip, had issues with front desk not booking my taxi, was told this would be taken into consideration for the next trip and when I arrived, I was told that I was put in an old room at the back of the hotel..
Service was good but rooms not great.. I had a background noise in my room and light from the corridor in my face when I was in bed. Consequently I slept very badly. Moreover, everytime someone was going through the hallway I could hear everything they were saying and it was very loud. Moreover, the room in itself did not convince me either. Beautiful room, clean and nice bed. Breakfast was really good, a lot of choice. fresh and homemade. Very welcoming and friendly hotel in a convenient position within Eindhoven center. Without exception Pullam always exceed my expectations. Normal Accor standard, friendly service, good room and lounge areas. In town centre, close to Muziekgebouw, where our concert was. An excellent location, a great room and staff that went out of their way to be friendly and helpful. A great experience and we will definitely visit again. Highly recommended. Always a great stay and a warm welcome! Got an upgrade upon arrival and a warm welcome from the staff who recognised me from previous stays. Great room and amazing hotel. The staffis extremply polite and professional. All my queries were answered promptly and accurately. The gym is very good, and the idea of the bootcamp is brilliant! Enjoyed it a lot! The rooms are a bit dated, I have found the my room may have been occupied by a smoker previously , however I did not complain as the weather was good enough to keep open windonws. Good accommodations and excellent dinner in the restaurant. When i’m staying in Eindhoven, I choose this hotel. It’s in my opinion a very nice place to stay. Always clean and comfortable with good service and a nice atmosphere. And I like the personal approach from the people that work there. Due to a/c maintenance, the room was way too hot/warm. The explanation varied from 'environmentally friendly thermostat' to 'maintenance on the a/c'. I would have appreciated one single answer that is the truth. Pullman Eindhoven is a fine 4 star hotel, the service during our stay could have been better. When we arrived at the check-in time 14.00h we had to wait untill 15.30h for out room to be ready. We got a voucher for a drink at the bar but when i checked out i found this was not deducted from the bar bill. Service in the bar was slow. The waitress did not seem to know the difference between white rum and brown rum. I also tried the rum sour cocktail wich was mediocre, and this, plus an Irish coffee, took more than 20 minutes to serve. There is a gated parking lot at the hotel for €25 a day or an 'open' parking at €8,50 next door. Room service: add €5 to the menu price. Despite the 'don't disturb sign' people knocked on our door 3 times in the morning. 2 guests who were at the wrong room, and one staff member who apparently also had the wrong door. Despite the lame service we enjoyed our stay. It's not convenient to re-log in Wi-Fi network every 24hours. And it took lots of time trying to log-in Pullman Wi-Fi. Parking Lot often has problem while accessing by the parking card. Need to enable again or ask for opening the door everytime when the parking card is not working.